OLD PARKED CARS. 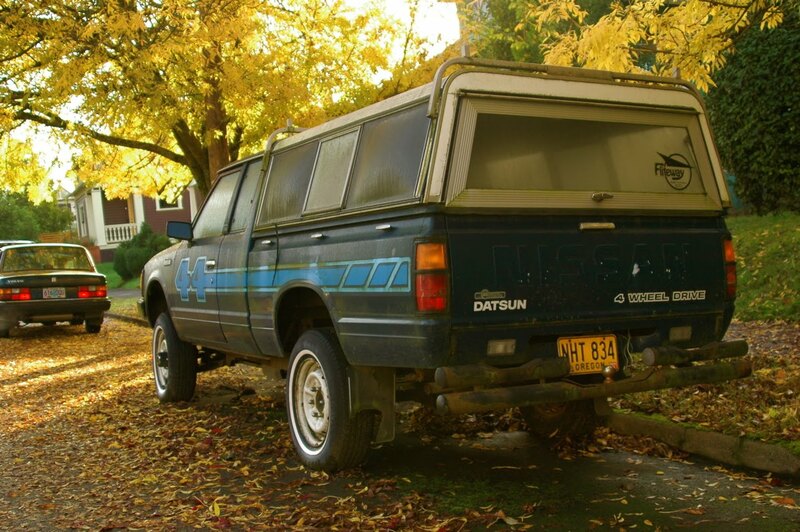 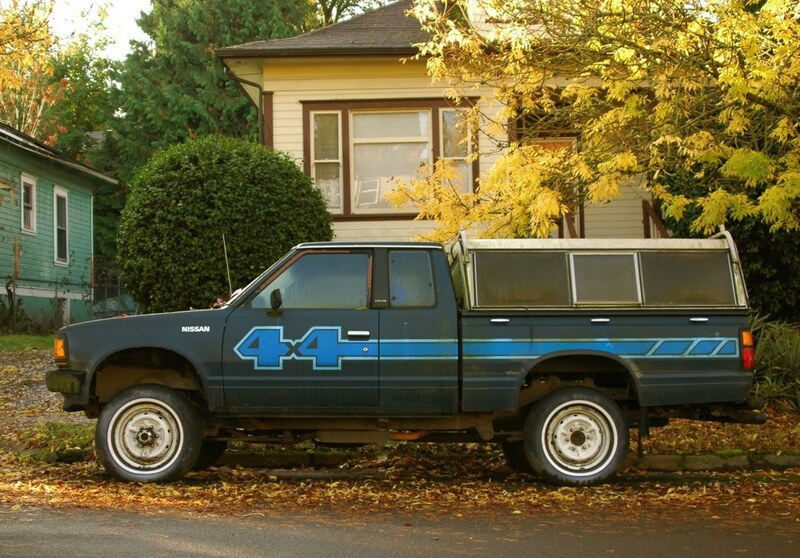 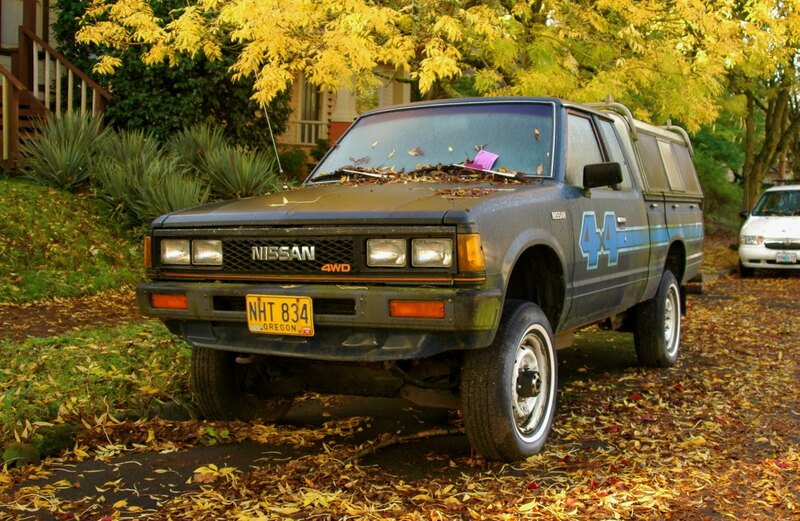 : 1984 Datsun/Nissan 720 Pickup. You gotta love that 80's-rific 4X4 graphic.